Steven (Chicagoland, United States) on 12 November 2009 in Sport & Recreation and Portfolio. 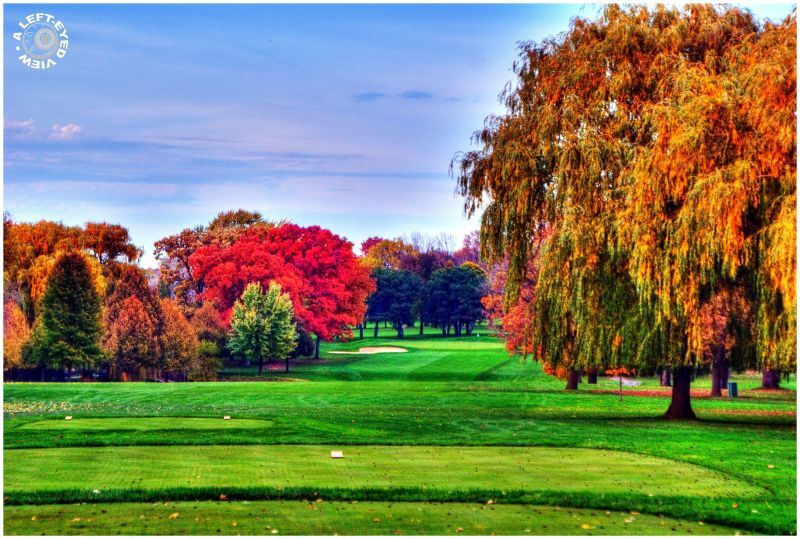 View from the tee of the 431-yard, par 4, hole #8 at Glen Flora Country Club in Waukegan, Illinois. The fairway is mostly downhill from the tee until about 150 yards before the green where the fairway meets the water. The fairway then continues uphill steeply for the next 75 yards until it levels with the green for the remaining distance. Photo taken October 21, 2009. Wow - eye popping color saturation! I could lose a couple in that tree alone! that is an explosion of colors :)) super ! Magical colors ! Almost surreal ! very cool processing...there's no missing that burning tree!! You sure you didn'tfiddle with the colours? because they are great! Very cool processing...and color's ! Whoa, I need my sun glasses! Way cool! You certainly show the colors in this one, Steven!